Lee and Beth began studying Tai Chi (taijiquan) in 1983 with Jane and Bataan Faigao, working closely with them until their deaths in 2001 and 2012 respectively. In 1985 we became assistant instructors at Rocky Mountain Tai Chi Chuan, and in 2012 we assumed leadership of the school at Bataan's request prior to his death. In 2000, Jane sent us to study with Maggie Newman, and we have worked closely with her since then. Ben Lo and Wolfe Lowenthal have also been important influences in our taiji studies. Both Bataan and Maggie authorized Lee and Beth to teach the full curriculum of Cheng Manching's taijiquan. Besides teaching tai chi, Lee also works to translate classic and recent works from the Tai Chi canon. His focus is on clarifying the usage and meaning of the specialized jargon and techniques described in those writings and connecting tai chi theory to the larger landscape of Chinese culture and thought. His translations are available on this website. Jennifer Lord began studying Ta'i Chi Ch'uan with Bataan Faigao in 2008 at Naropa University. She graduated in 2010 with a BA in Visual Arts and a minor in Tai Chi Chuan. From 2010-2012 she was assistant-student teacher to Bataan for Naropa’s Tai Chi Chuan classes. She is a senior student of Beth Rosenfeld and Lee Fife at RMTCC. Lord is a painter. She reads avidly and works with books in Boulder, Colorado. She is a student of Ikebana in the Sogetsu school. Born in Salt Lake City, Utah, she currently lives, works, and teaches in Boulder, Colorado with her husband and daughter. In 2008, Bill Regan dropped out of the corporate life of 'high pressure' sales training and enrolled at Naropa University. There he studied Eastern philosophies of meditation, yoga, ikebana, and tai chi. Upon graduation in 2012, Bill continued to study tai chi with Rocky Mountain Tai Chi Chuan where he assists with teaching the beginning level classes. Melissa Began her T’ai Chi adventure in 2014. After years of studying dance, yoga, Qi Gong, as well as graduating from a four year Feldenkrais training program, she at long last discovered T’ai Chi, “The Supreme Ultimate” and has been hooked ever since. You will find her leading and helping out in the Elements class at RMTCC, where one and all can enjoy some time spent practicing the Five animal Frolics and working on sections of the T’ai Chi form. Mike first began studying with Rocky Mountain Tai Chi Chuan in 2005. He took up the art as a mean of rehabilitation after a serious injury, and has found that more he studies the more there is to learn. He views Tai Chi as fundamentally a practice to cultivate awareness and strives to adhere to the fundamental principles of the art... Relax! 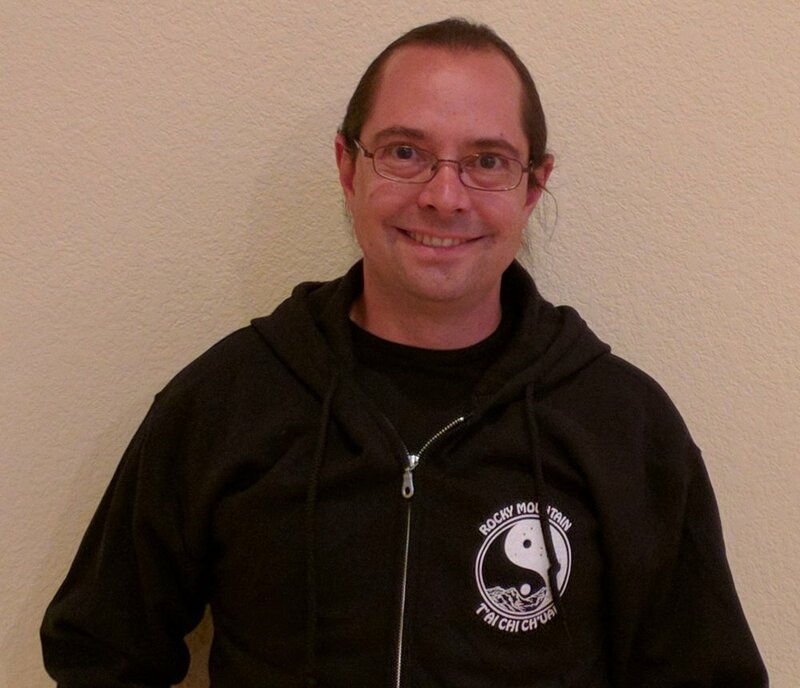 Mike is a senior student of Beth Rosenfeld and Lee Fife at RMTCC, and teaches at Rocky Mountain Tai Chi Chuan and also in Nederland, where he began assisting under Darren Villeneuve ad subsequently took over the Nederland classes. He believes in creating a welcoming, friendly, fun and safe environment for all students. When not practicing T'ai Chi, Mike enjoys being outdoors, hiking, backpacking and fishing and spending time with his friends and family. He is a software engineer by trade, and a fan of science in general. He continually endeavors to bring Tai Chi in to his everyday life. While he finds that a daily Tai Chi practice gives an extra little shine to everything else he does, the real reason he's stuck with it is that, without exception, he feels better and more relaxed after every single class. Heather began her practice of taiji at Naropa University in 2012. She completed her bachelor's in Traditional Eastern Arts and is continuing her education of taiji with Beth and Lee at their farmhouse in Hygiene. She loves how much depth the practice offers and how closely connected and aware one becomes of their own body and its movements. "We move with our connection to the ground through our feet -- if we can relax, and get out of our own way for even a moment, we may feel the earth move all the way through us to the heavens." Heather also teaches in Ft Collins via her Vessel Yoga and Taiji practice.